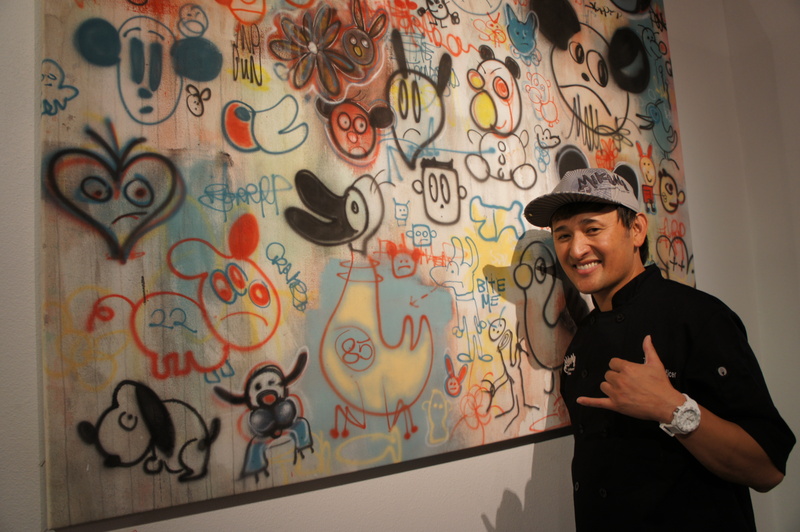 AAJA Chef’s Showcase: Food, Art, Fun | AYAH! That’s the question it all boils down to when we watch master chefs at work, and taste their deceptively simple dishes. Their food is art. And its beauty is a product of a life-long history lesson. 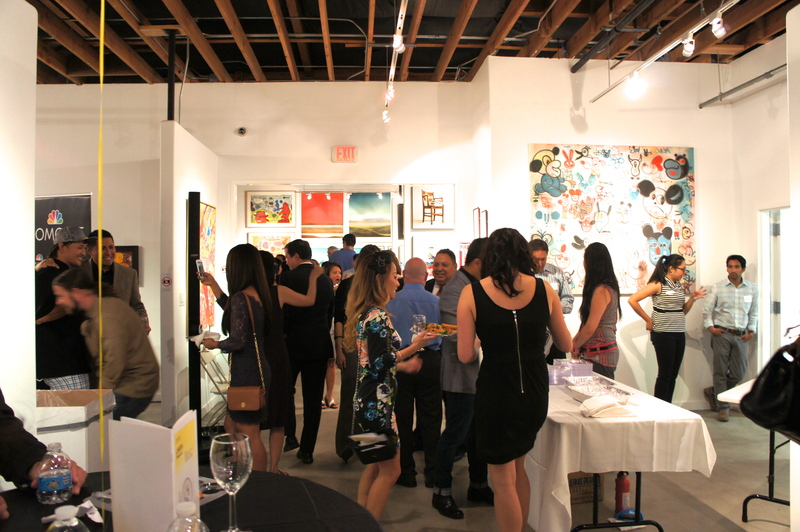 So, how fitting that the Sacramento chapter of the Asian American Journalists Association held its “Chefs Showcase” at the Elliott Fouts Gallery on October 8. 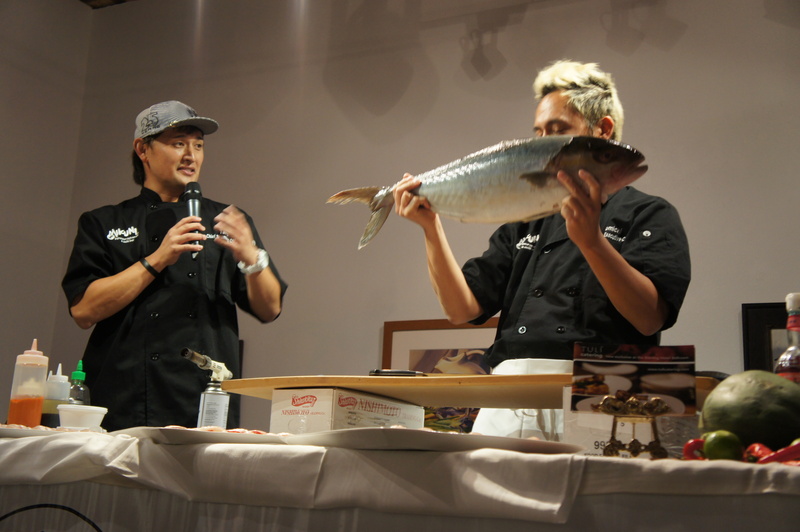 Guests had a chance to see and taste what two dynamic Sacramento chefs had to offer: Taro Arai, co-owner and master chef of Mikuni Restaurant Group, and Adam Pechal, executive chef and owner of Tuli Bistro and Restaurant Thir13en. Let’s start with Pechal the powerhouse. There’s a reason why AAJA approached him to be a part of this event. He has some proven chops when it comes to cooking. 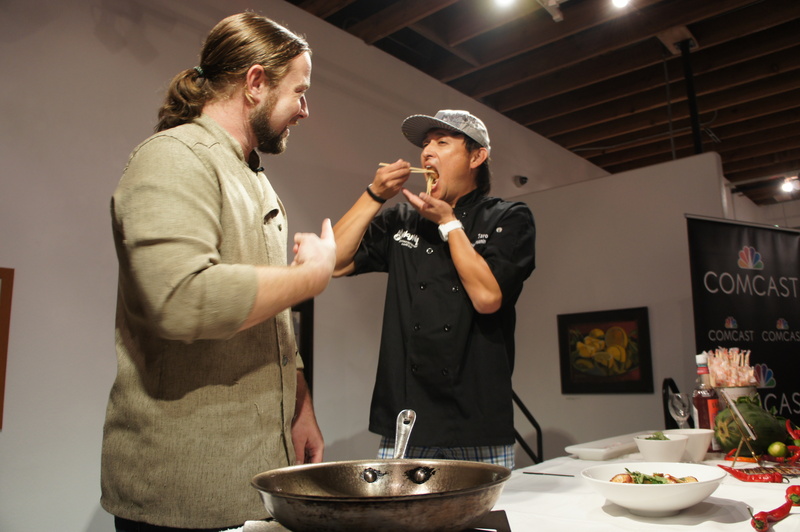 He runs two successful Sacramento restaurants, has been a part of several major restaurant openings in Sacramento, worked in acclaimed kitchens across the country, PLUS dude can throw down on Asian cuisine. 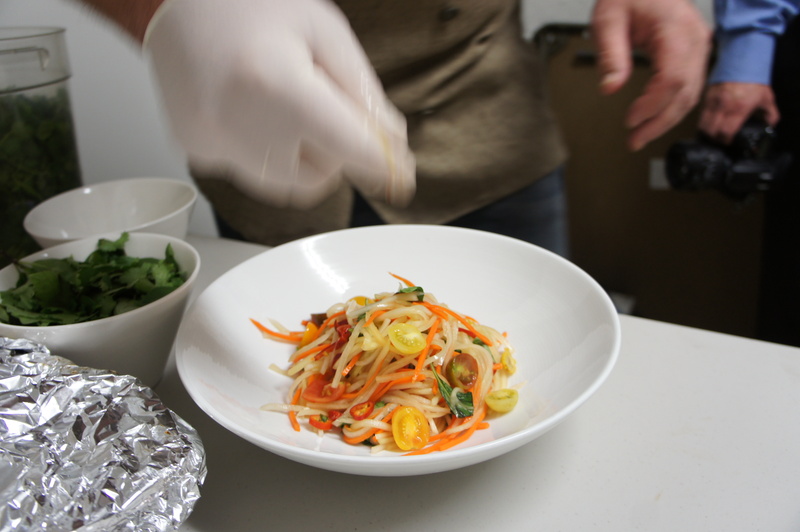 In his extensive culinary resume, Pechal once worked as one of the main wok cooks at a former Sacramento Chinese restaurant, which helped build his palate for Asian food. Pechal has also been a huge force in the farm-to-fork movement in Sacramento. The chef, who was born and raised in Northern California, talked about his passion for food and how it was punctuated by a close relationship to locally-grown produce. Even as a young kid in the kitchen, Pechal saw first-hand, the ingredients come straight from the farm. 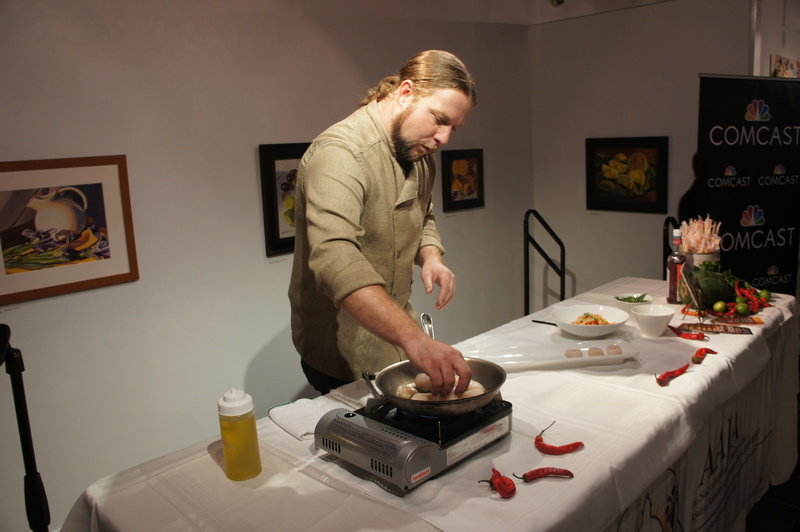 He learned early on how to bring out the full flavor of each ingredient, and make the dishes sing. And that’s what you’ll taste at his restaurants today. 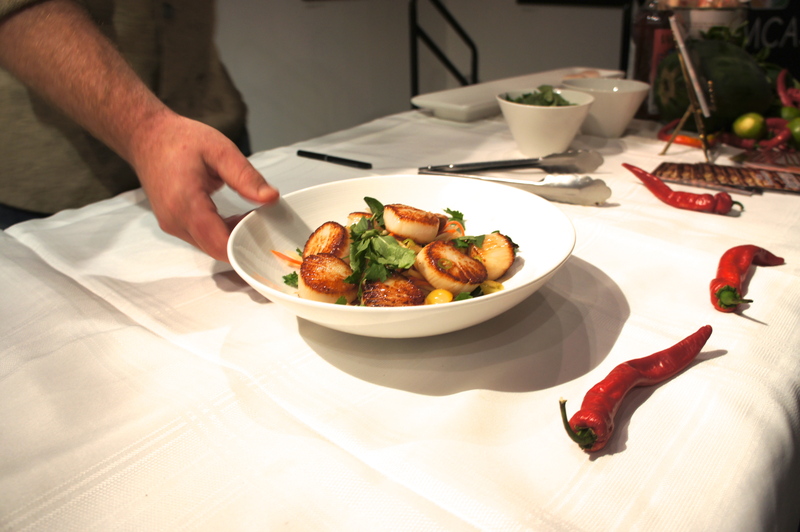 After showing everyone how to properly cook scallops (make sure there is no moisture on the meat before you put them in the pan), he plated it over papaya salad garnished with tomatoes. 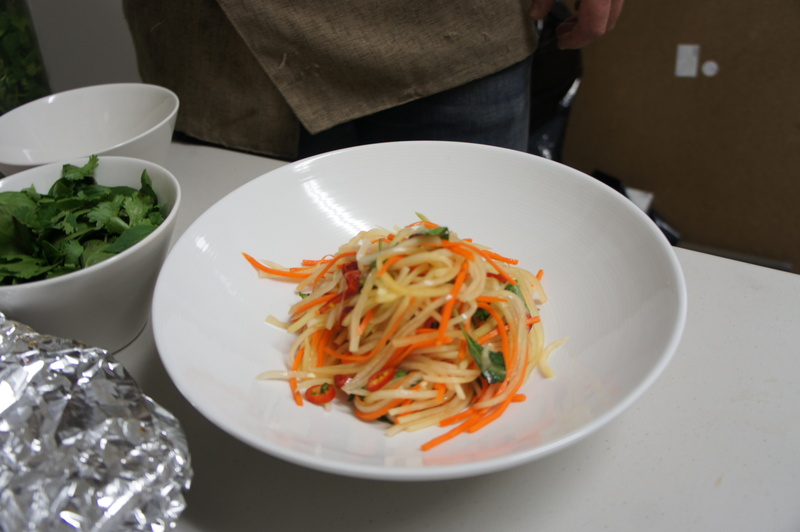 The dish was inspired by the Southeast Asian papaya salad that you can find in Thai, Cambodian, Laotian and Vietnamese cuisine. 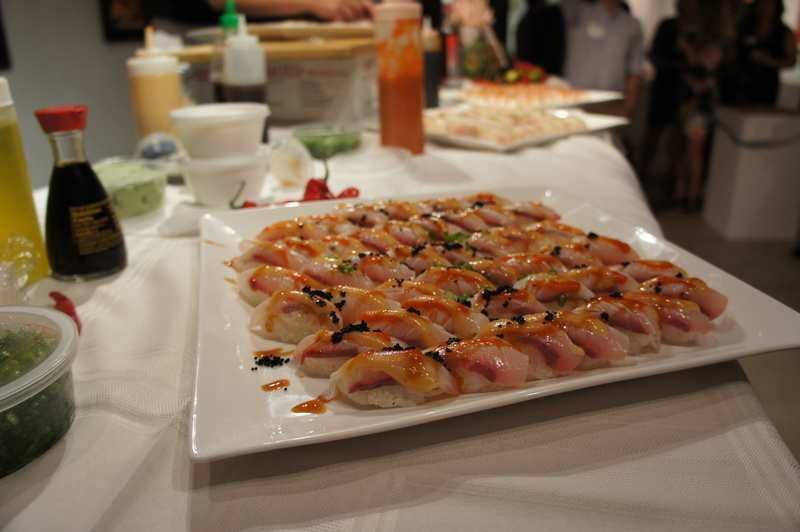 And our second chef, Taro Arai of the famed Mikuni sushi restaurants really seemed to enjoy this dish. If you live in the Sacramento area and you like sushi, there’s a good chance you’ve eaten at Mikuni — or at least heard of it. This was the first time I had ever seen Arai at work. He gets extra points for his outstanding sense of humor and real showmanship. And then proceeded to show us the ingredients that go into making their sushi. 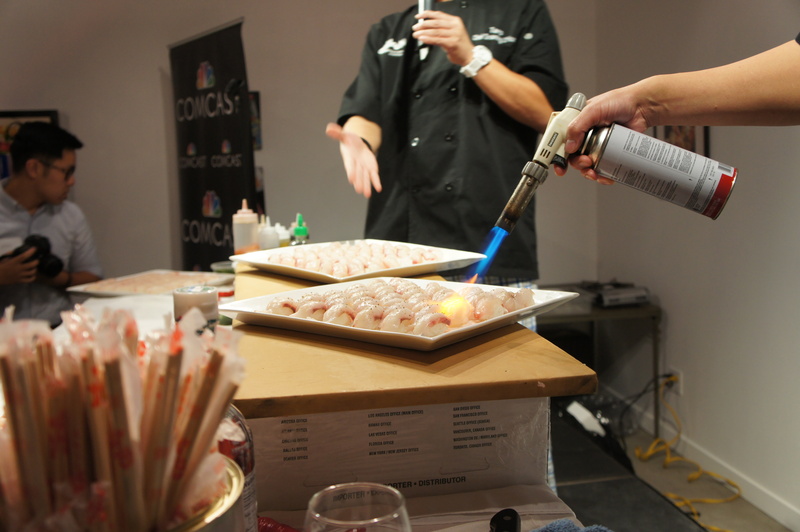 Ever seen a tray of sushi get blasted by a blow torch in an art gallery? Me neither. But this is what comes out of using one. Arai says his passion for food came by accident. Moving to America from Japan, he never thought his parents would open a sushi bar. But they did — blindly navigating their way through the trials and tribulations of running a business. And they were still learning English and American culture. Arai had never even made sushi. But through sheer determination and hard work, the family now has 8 locations from Elk Grove (south of Sacramento) to Northstar in the Sierra. Arai says at one point, his family couldn’t even afford to buy one fish. Now, they order 52 tons of fish every moth. A huge thanks to the AAJA crew! It was a successful and delicious event. 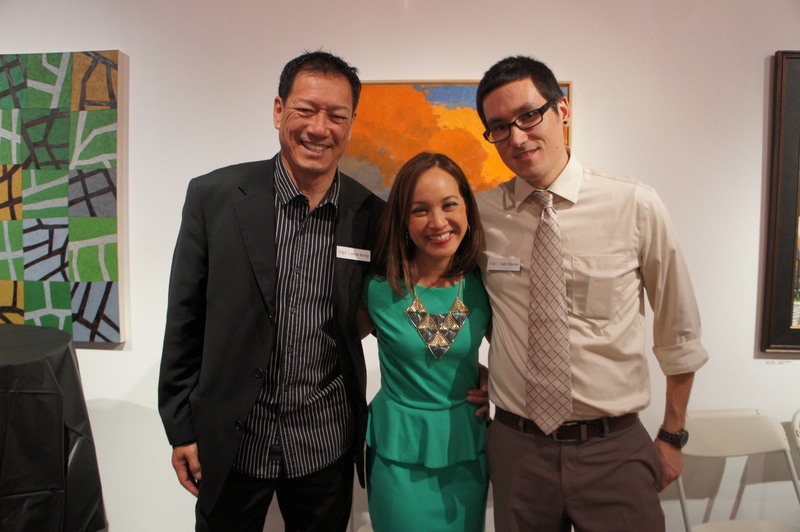 AAJA raised $11,000. It will go towards student internships, scholarships, community outreach programs and career development for professional members.